A uniquely beautiful design, this Console Table has simple exquisiteness mixed with a modern twist. 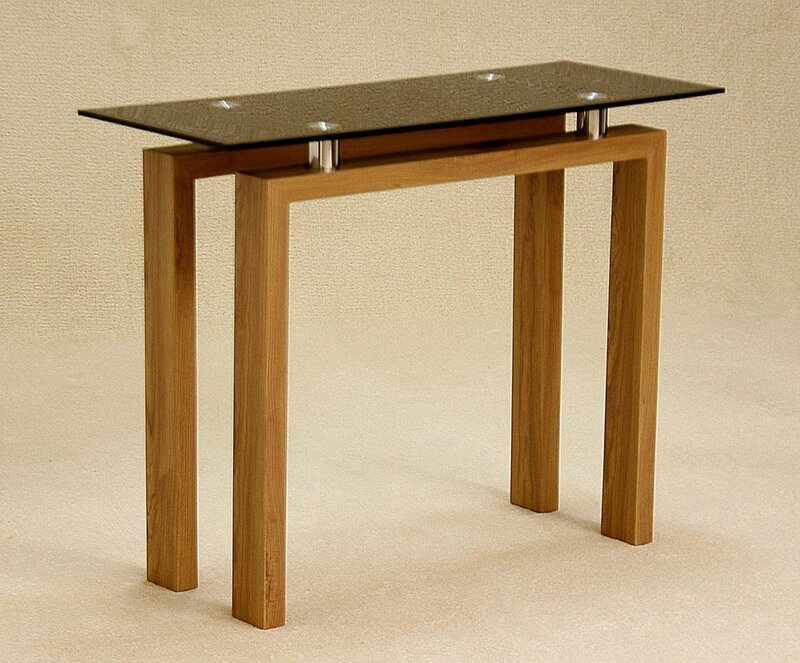 The thick wooden legs have a rustic feel and perfectly contrast the modern Black Glass top, this Console Table is elegant and chic. Thin design to fit in any Living Room or Hallway, but thick wooden legs to assure durability and stability, this table is functional, creative and gives any room a personality.